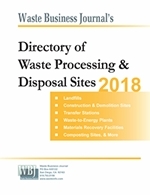 Waste Management launched an unsolicited surprise counter offer to buy Republic Services for about $6.19 billion, potentially derailing Republic's deal to acquire Allied Waste Industries Inc. for $6.77 billion. Republic said in a statement that it would carefully review the proposal and respond in due course, but the company noted that it already had a definitive merger agreement with Allied Waste. Waste Management's bid of $34 per share represents a 22% premium to Republic's recent closing price, but that stock had been off by 17% since rumors of its deal to buy Allied first surfaced. Therefore, it is likely that Waste Management will have to sweeten its offer before all is said and done. 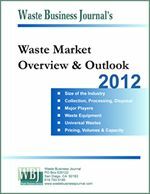 It is also likely that the greater level of overlap between the two companies' markets will necessitate some divestitures; however, according to Waste Management's Chairman and CEO, David Steiner, "we're also certain the assets we'll get to keep are significant and make for a compelling transaction." Republic's strong business in Las Vegas is an especially compelling asset, said Steiner. Even with divestitures, the merger is likely to result in an expansion of Waste Management's share of the $55 billion waste management industry to 30% from 24%. According to Steiner, "Our proposal clearly offers a better and more certain value alternative to Republic stockholders than the recently announced Republic-Allied Waste transaction."